Author Dave Wells describes the beginning of Mallorytown with the arrival of the Loyalists and goes on to describe the contribution of the farmers and entrepreneurs to the settlement of Mallorytown without inducing yawning. He also highlights Canada's first glass works which was located just west of the village and still garners a great deal of interest. This popular book is now in it's 4th Printing. The net proceeds from the sale of this book will go to the Mallory Coach House. The Last Front, a sequel to The History of Mallorytown moves from the village to the small communities of Yonge Township. Read tales of days long forgotten but fortunately captured by David and Sandra as history to be remembered in perpetuity. 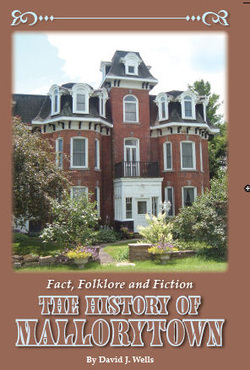 The net proceeds from the sale of this book will also go to the Mallorytown Coach House. 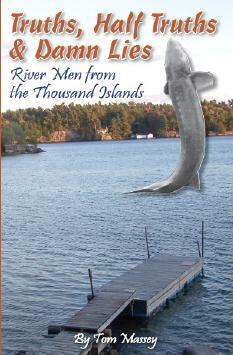 Tom Massey -- A River Rat in the Thousand Islands featured in Shawn Thompson's book Soul of the River. Tom appeared in CTV's Regional Contact as the Elf of Rockport. Over a lifespan of 77 years Tom was known as a fisherman, tour boat captain and a tug boat skipper during the construction of the Johnstown Bridge and the St. Lawrence Seaway. His oral stories about fishermen and boats in the Thousand Islands entertained family and friends for generations and now you can read the stories as penned by Tom Massey. The proceeds from the sale of this book will go to the Rockport Recreation Centre.